The university presented the Cyrus C. Wiley Distinguished Alumni Award to Wilburn Joe Eason, a 1973 graduate for his extraordinary support and loyalty to SSU. 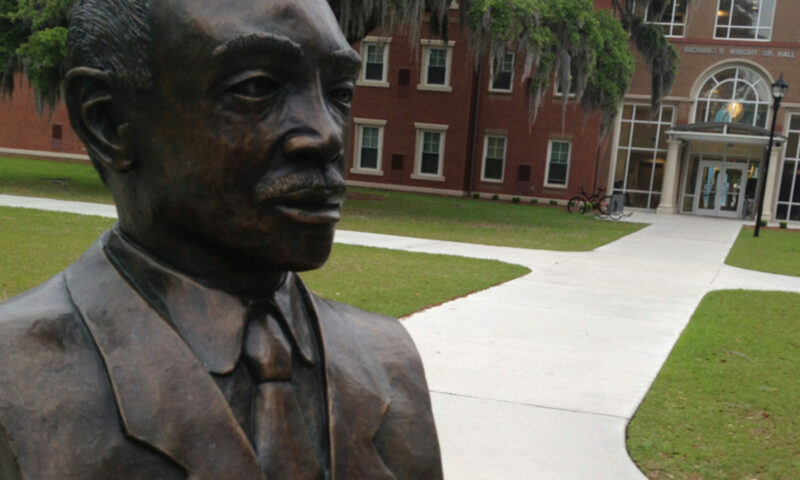 Dr. Margaret C. Robinson, a 1952 of Savannah State, and retired U.S. Navy Capt. 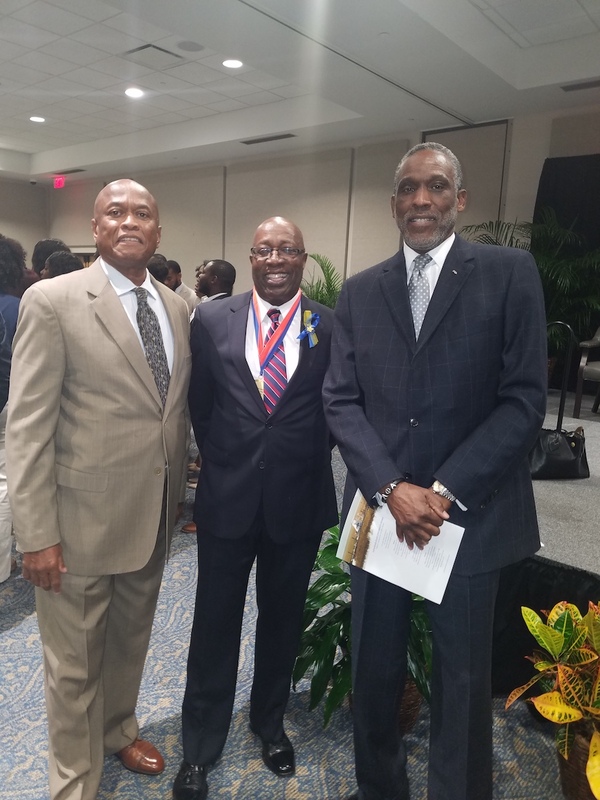 Donnie Cochran, a 1976 graduate, were the recipients of Richard R. Wright Award of Excellence. The Cyrus G. Wiley Distinguished Alumni Award recognizes an outstanding alumni who has shown exemplary examples of the lofty ideals espoused by the university. 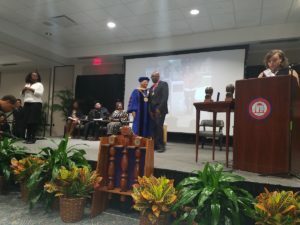 The award also extols the achievements and contributions such distinguished alumni have made nationally, regionally and locally. 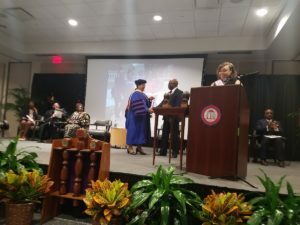 The Richard R. Wright Award of Excellence, named for the university’s first president, is presented annually to honor corporate and community citizens, alumni, and outstanding leaders who have distinguished themselves through their expertise in social, educational and civic arenas. Reverend Carolyn Vann Jordan, a descendant of Major Richard R. Wright, Sr., and a mentoring coordinator at SSU, was the guest speaker for the event. SAVANNAH, Ga. — Dr. Cheryl Davenport Dozier, President of SSU, presents the 2018 Cyrus C. Wiley Distinguished Alumni Award to Wilburn Eason. 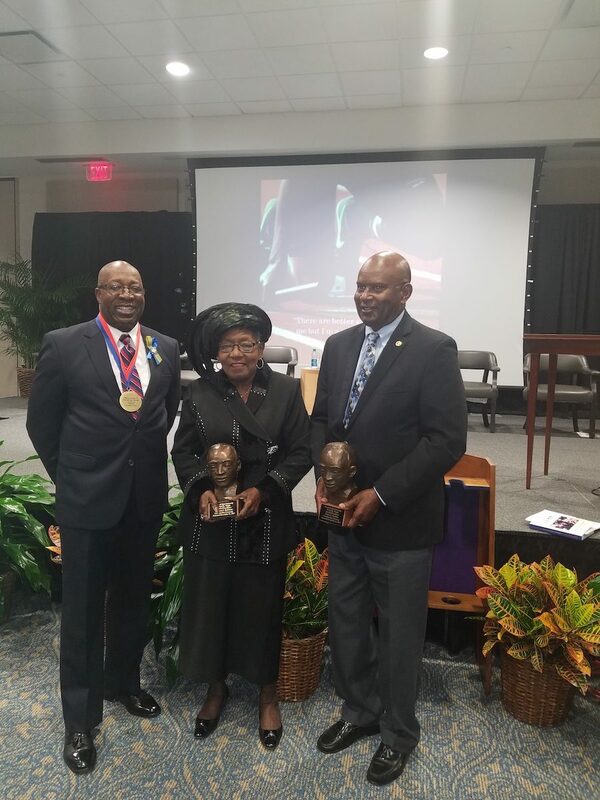 SAVANNAH, Ga. — The 2017 SSU Founder’s Day honorees (L -R) Mr. Wilburn Joe Eason (’73) recipient of the Cyrus G. Wiley Distinguished Alumni Award; Dr. Margaret C. Robinson (’52) and Mr. Donnie L. Cochran (’76) recipients of Richard R. Wright Award of Excellence. SAVANNAH, Ga. — Honoree Wilbur Eason with Savannah State classmates Tyrone Smith and Solomon Myers.